This is a sobering Dirt Bag because there isn’t much gossip (I went online after a 24-hour hiatus and everything is about Tom Petty, even the news that’s not really about Tom Petty, RIP), and because, well, stars are just like us: they too occasionally do an appropriate thing when faced with heart-melting levels of tragedy. 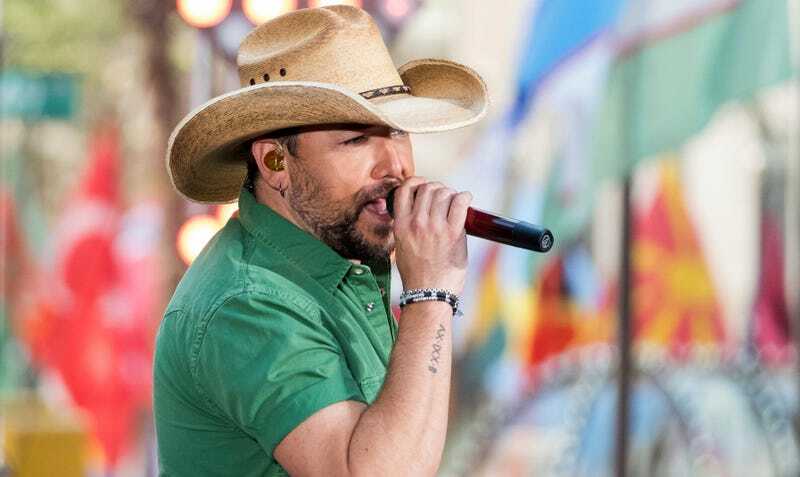 To that end, country star Jason Aldean, who happened to be performing at the scene of the deadliest shooting in modern U.S. history, announced on Tuesday that he and his band are canceling their upcoming California shows this weekend, out of respect for the victims of the Las Vegas shooting. Read on for soundbites about white privilege discourse, Maxine Waters, and, of course, her HBO series Insecure.